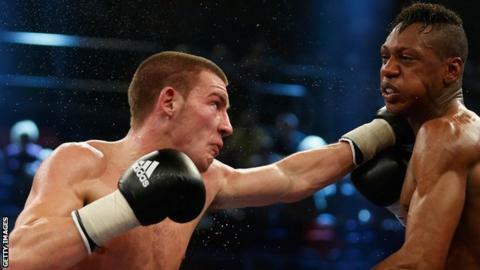 Wales' British and Commonwealth super-welterweight champion Liam Williams' title defence against Nav Mansouri on Saturday has been postponed again. A virus prompted Williams to withdraw from a bout scheduled for February. Now Rotherham's Mansouri has pulled out of meeting Williams in London because of an Achilles problem. Williams, an unbeaten 23-year-old from Church Village near Cardiff, claimed the vacant super-welterweight belt in December by beating Kris Carslaw.